The all new Messages app in iOS is quite busy and full of new features and abilities, and a major new component is the wild world of Message stickers and apps. Stickers are basically little images and icons you can slap all over a message thread, and iMessage apps can be everything from simple photo manipulations to full fledged games, all embedded in the Messages app of an iPhone or iPad. 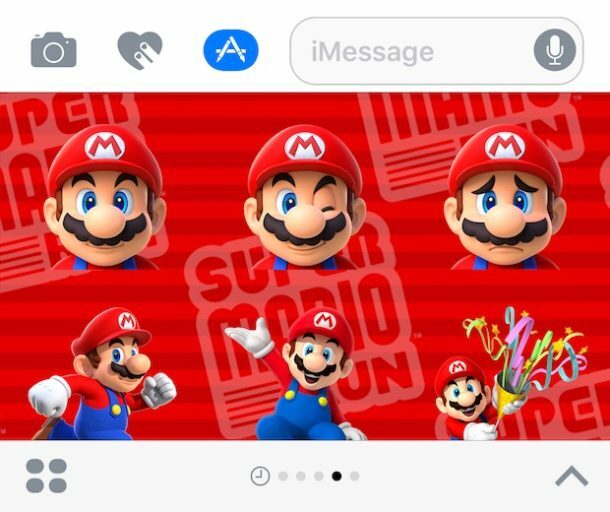 They can be chaotic or a lot of fun, maybe even a bit of both, so let’s review how to download, install, and use Messages stickers and Messages apps in iOS 10, iOS 11, or later. A quick note: Message Stickers and Message apps are different from Message effects, but all are part of the broader refresh of Messages in iOS 10 or later, meaning you must have a modern version of iOS on the iPhone or ipad to have Stickers. Turning off or on iOS 10 Messages effects has no impact on Message stickers or apps, and at the moment there is no way to opt-out of the stickers or apps features. 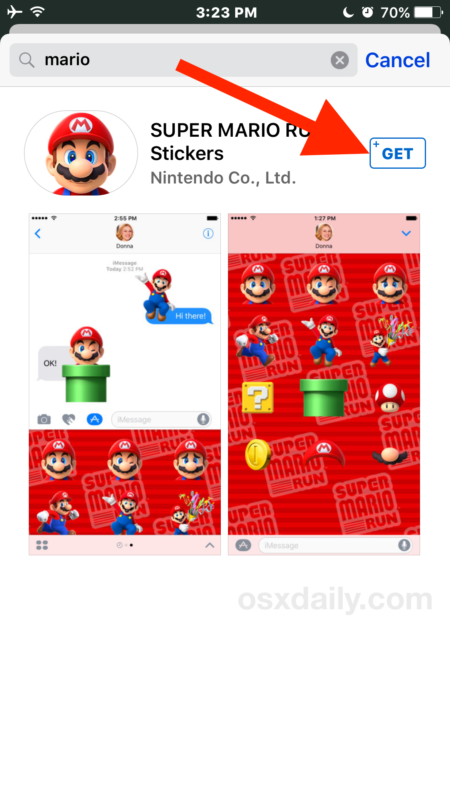 In the example here, we downloaded and installed a simple Mario sticker pack. 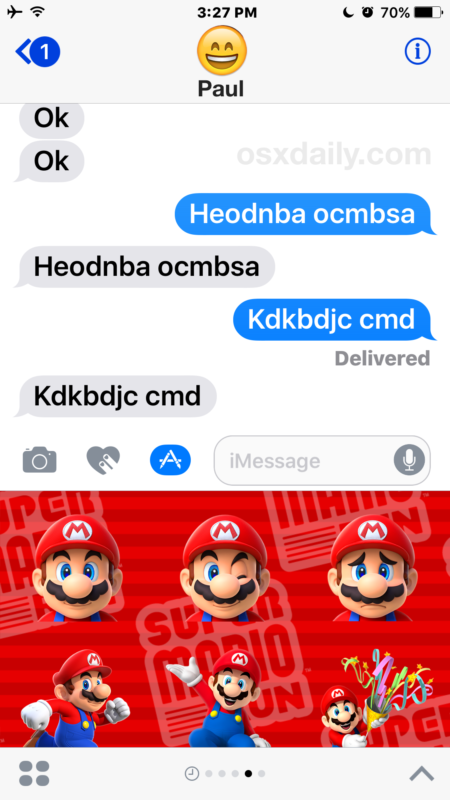 As you can see it’s basically just a bunch of Mario pictures, tapping on one will insert it into a message, and you can drag and drop them directly onto any message as well to apply the picture just like a sticker (hence the name). By the way, if you are a fan of retro Apple, you should grab the “Classic Mac” pack which are basically a collection of icons and art from the original Macintosh OS System release. Keep in mind that you must have iOS 10 or later, and the recipient of the iMessage must also have iOS 10 or later on their iPhone or iPad to properly receive the message stickers or apps. 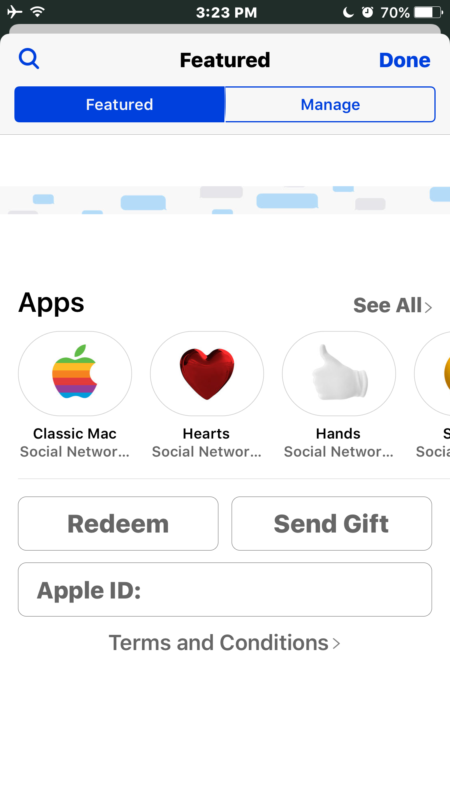 If the recipient is on an older version of iOS, the stickers just come across like sending any other picture and they aren’t applied to a specific message or location, and some of the apps won’t work at all with the recipient if they are not on a compatible device. If the receiving end is a Mac, they also don’t work (at the moment anyway) beyond displaying the picture as a normal message. Messages sticker packs and Messages apps can be a lot of fun, or they can be totally chaotic and kind of weird, and as you likely noticed the entire interface for using them and managing the stickers or apps is clunky and cluttered, but once you use it a few times you’ll get a better understanding of how it works, even if it’s a bit unusual. The interface is likely to change a tiny bit as iOS updates continue to refine the experience, but the core feature is here to stay. Whether or not there will be an option to hide and disable stickers and Message apps in a future version of iOS remains to be seen. Anyway, explore, download a few apps and stickers, and then have fun sending stickers and Messages apps to your friends and family! Adults need to be able to turn this stuff off. I don’t want gifs of Taylor Swift in my Messages app. I use my iPhone for work and business, it is not appropriate to have “stickers” and animated dancing people in my communications. When you message your boss and business contacts, be sure to include stickers of serious cat. They will know you mean business. I do that and people love them! How do I turn off messages stickers and messages apps in iOS 10? I don’t want these features and the buttons are clogging my text input. My phone is a serious device, not a “Disney Toy”. If I have iMessage turned off, on my phone, then I assume I will receive only text via SMS. i hope not an MMS. 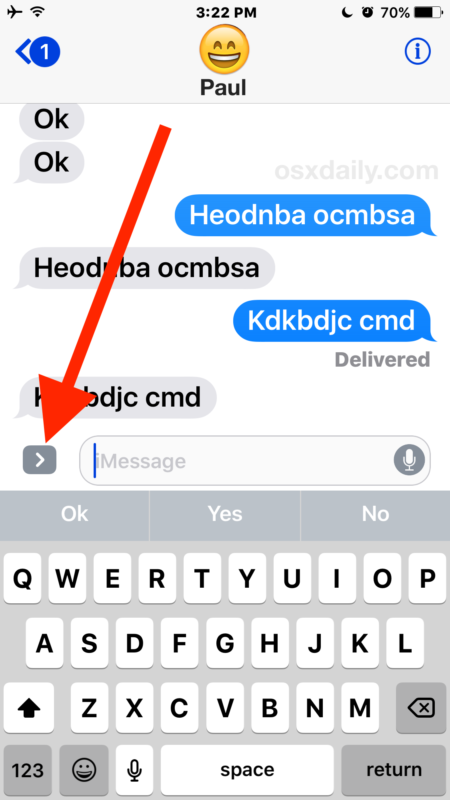 Stickers will arrive as MMS if you have disabled iMessage, but they will not place in the message window. I wish there was a settings toggle for all the Message effects, I would turn it all off. I see no business case for this stuff. There is no business use for “Stickers” in Messages at all that I have seen yet, it is a product aimed at teens and young millennials. The only adults I see using stickers are doing so as a parody of itself, like look at the mess you can make of an Apple software with no thought to usability. It’s a very odd feature but Stickers are very popular with kids. I wish there was an ability to turn it all off, I want a professional mode for messages like it used to be without the clutter. I love these stickers. I plastered them all over my iPhones! I’m wondering why there is a Hillary sticker pack but no Trump! Because Shillary belongs on a sticker instead of real life. There are multiple election sticker packs, search for them by name and you will find many choices to download. What settings do I have to ensure are enabled to correct this? check out StiChara if you want a cute animated stickers!